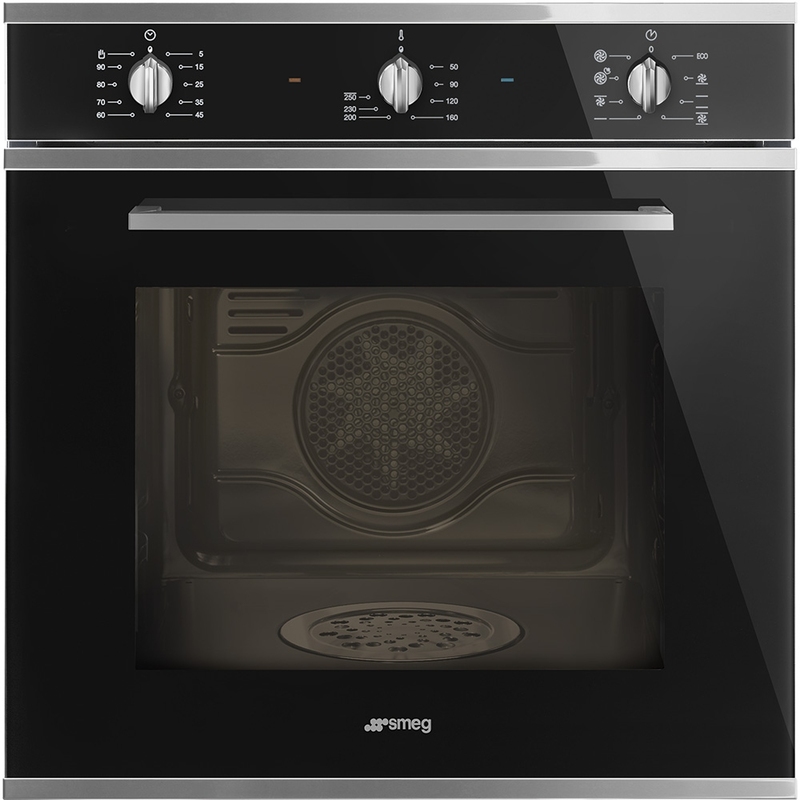 This black built in Direct Steam multifunction Cucina oven from Smeg has a spacious interior and great selection of cooking options available. 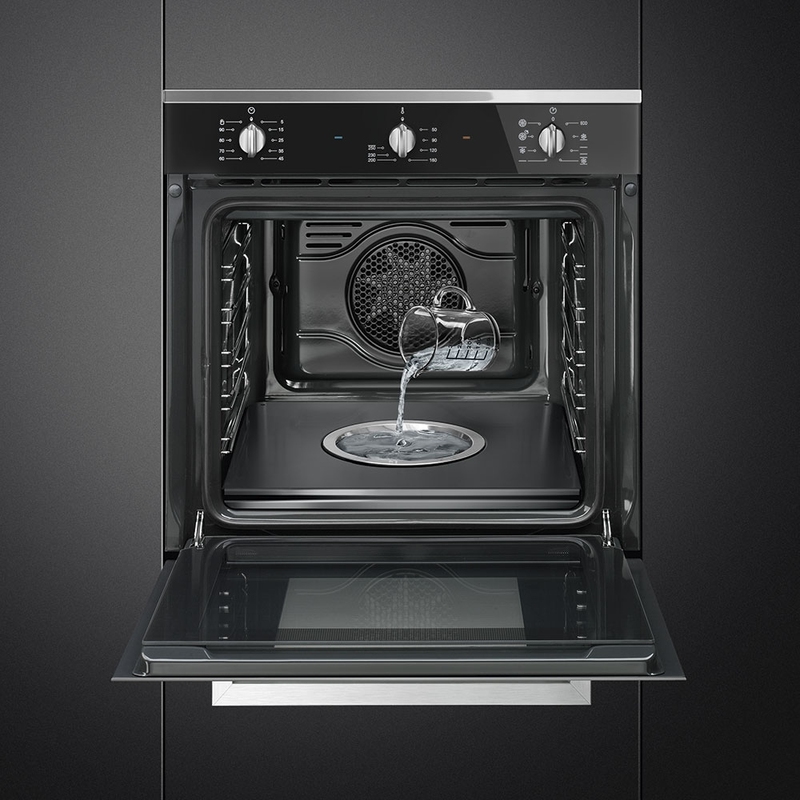 Circulaire is just one of these useful cooking options. 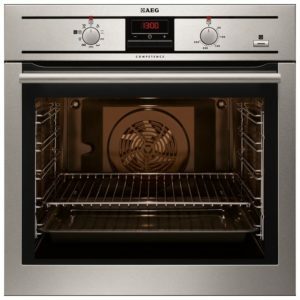 You can reheat food without drying it out as there is more moisture inside the oven than there would be with a typical appliance. Boasting an A energy rating and handy features like the easy clean enamel interior, you will be able to cook with confidence with Cucina. 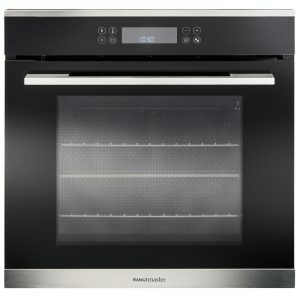 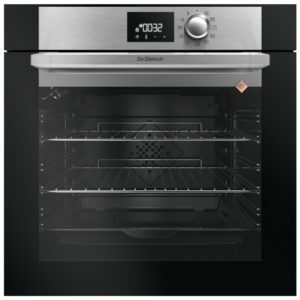 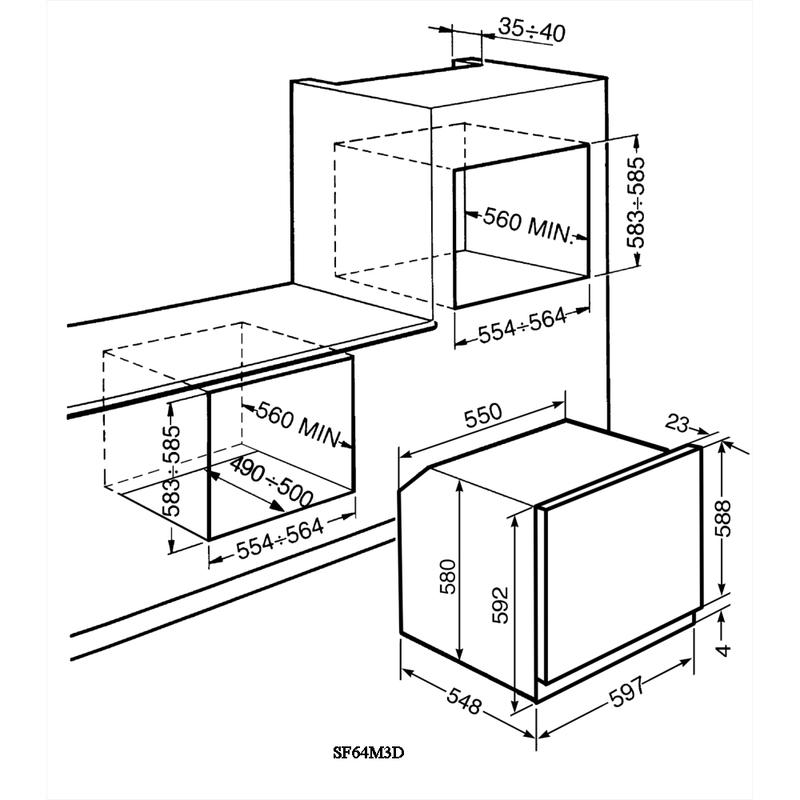 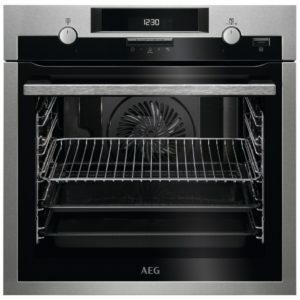 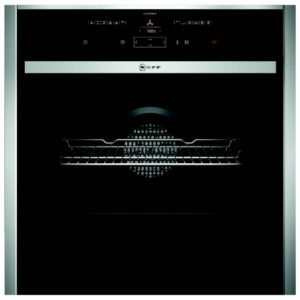 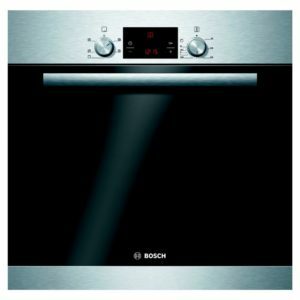 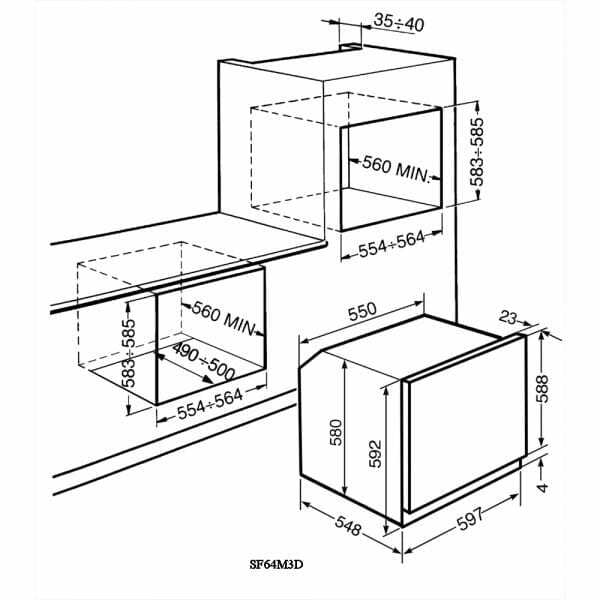 An extra deep tray which has a depth of 40mm and a chrome shelf accompany this multifunction oven as standard.